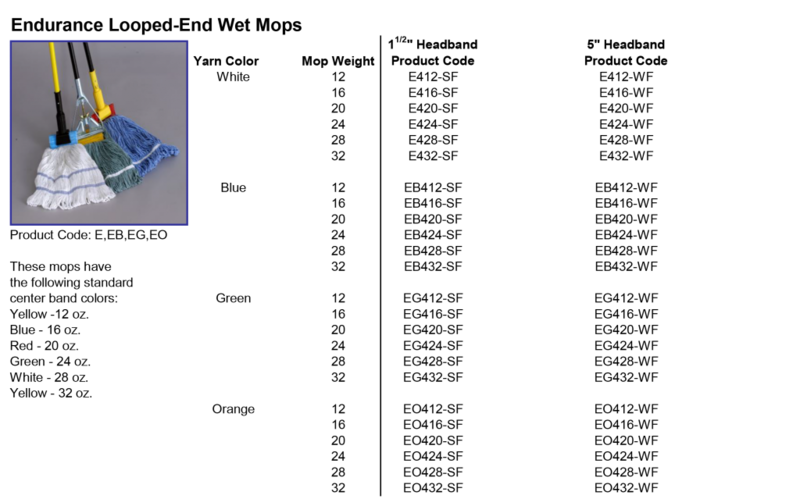 Our Endurance Looped End wet mops are made to last. 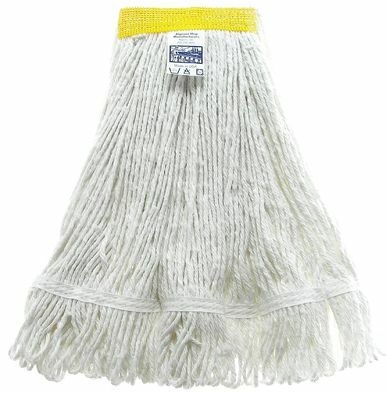 Constructed with one continuous strand of yarn, they are the most durable mops on the market today. Made from 4-ply synthetic blend yarn. Looped ends resist tangles and frays. Can be laundered for maximum product life. Durable vinyl-coated polyester mesh center band available in wide or narrow.